Pork tenderloin is one of my favorite cuts of pork. It doesn’t take long to cook, making it a superb choice for easy weeknight dinners, it’s lean but with just enough fat to remain moist and tender (hence the name), and is delicious hot or cold (try sliced pork tenderloin in a French baguette packed with arugula and a good Dijon mustard and you’ve got yourself a quick and delicious lunch!). Check out some of these delish pork tenderloin recipes - from a simple Bacon Wrapped Pork Tenderloin that is ready in minutes to a Korean-spiced version that’s served atop hot rice and lettuce leaves for wrapping. You’re just a few ingredients away from a scrumptious and filling dinner! 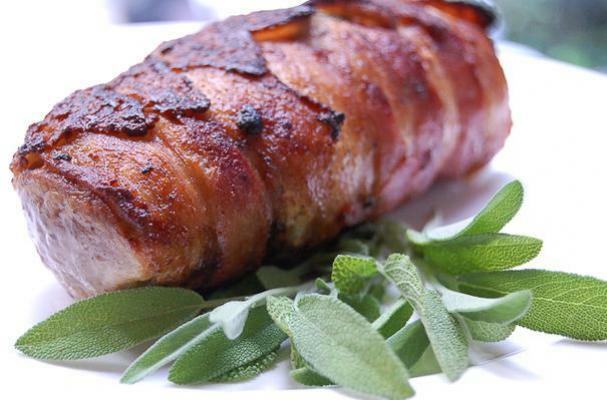 Simply season a pork tenderloin with salt, pepper, and a bit of garlic powder, wrap with bacon and top with fresh sage leaves. Sear the tenderloin on all sides then pop the pan in the oven and let the meat roast at 425 F for 8-10 minutes. Excellent serve with roasted red potatoes and vegetables or whole grains and a green salad. Recipe here. 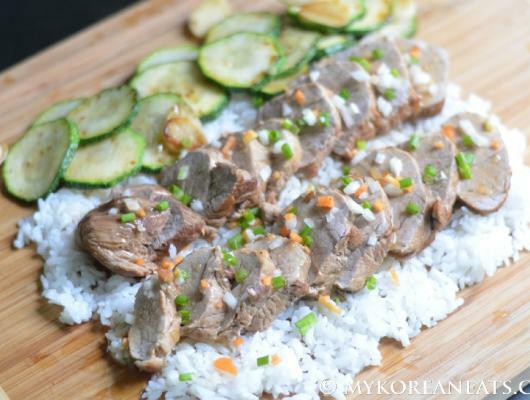 If you’re looking to add an Asian flavor to your weekly dinner repertoire, you will love this bursting-with-flavor Korean dish. First, a pork tenderloin is seared then braised until tender in water seasoned with garlic, onion, soy sauce, red chili peppers, brown sugar, apple, and fresh ginger Then, the pork is removed and the flavorful cooking liquid is reduced into a delicious sauce. The pork is then thinly sliced and served atop hot rice, then garnished with the sauce and finely chopped green onions. Serve as is or with kimchi, ssamjang ( sweet and spicy Korean condiment), and lettuce leaves for wrapping. This is another Asian recipe I know you will just love. The pork is first marinated in oyster sauce, five-spice powder, sesame oil, soya sauce, sugar, white pepper, garlic, ginger, and red chili peppers, then sliced and sautéed until caramelized. 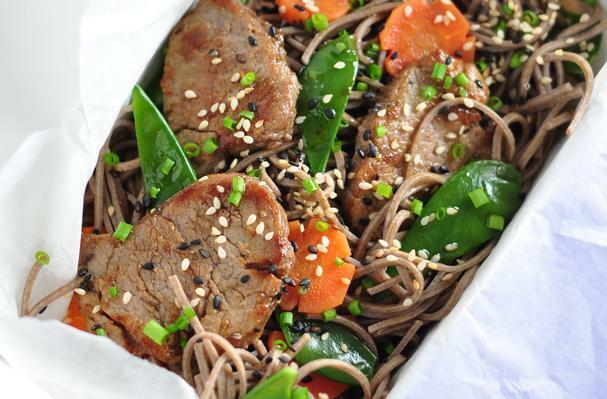 Its served over buckwheat soba noodles seasoned with a soy sauce sesame oil dressing, then garlished with blanched snow peas and carrots. This sweet savory Italian-inspired dish is simply divine! The pork tenderloin is cut down the center, pounded until 1/2-inch in thickness, and stuffed with wilted spinach, garlic, sweet red pepper, and marjoram. 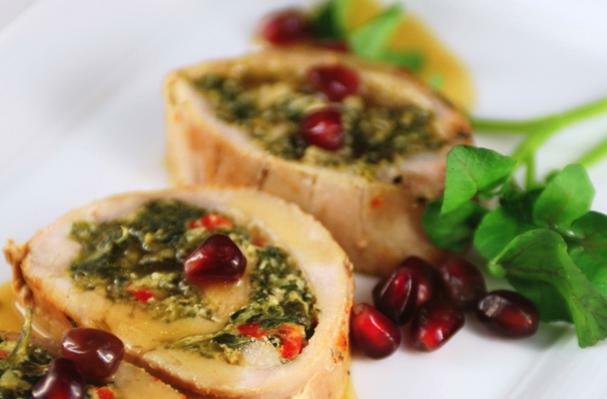 It’s then rolled up and roasted and served with a sweet and tangy pomegranate sauce.